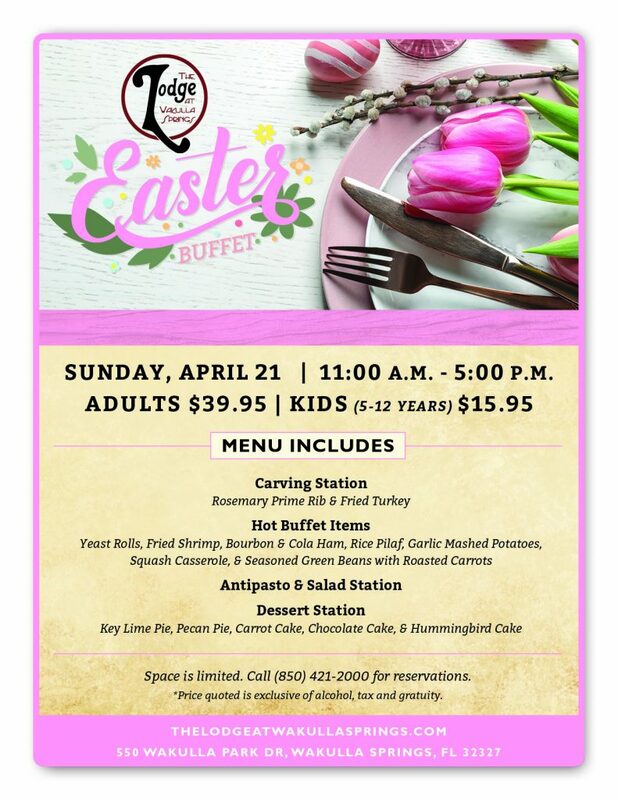 Join us for our Easter Buffet on 4/21 from 11 a.m. to 5 p.m. Enjoy all of your favorite brunch foods including Fresh Cut Fruit, a Variety of Salads, Yeast Rolls & Antipasto Platter. Space is limited. Call 850-421-2000 for reservations.